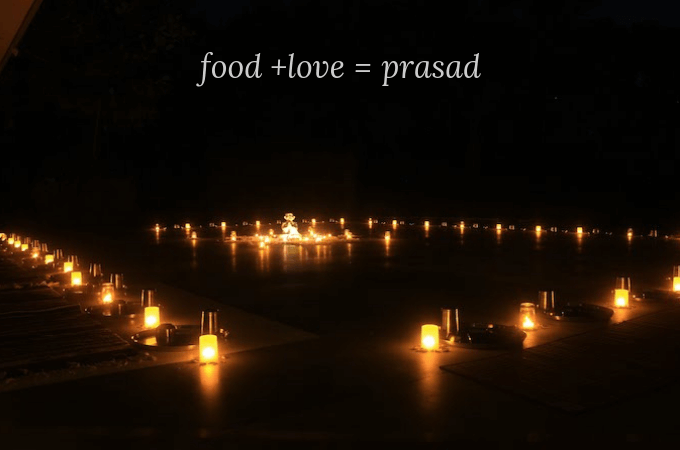 Prasad is an offering of food made to Gods. When you offer food to Gods, it is made with the purest of the heart, filled with lots of love. While I have been cooking for more than 15 years now, my relationship with cooking changed with a volunteering experience, 7 years ago, at Seva Cafe. Seva Cafe is a gift economy restaurant in Ahmedabad where the food is cooked, served, and offered as a true gift. The first time I picked up a ladle in Seva Cafe to stir the dal, Bhaskar bhai, a very old volunteer there, asked me to just take a moment, close my eyes and see if I have any negative emotion within me. And if I do, I should just sit and first address that before cooking the food. Because every emotion we feel transfers to the food as we cook it. It is just so important to be mindful while cooking because people don’t just taste your food, they taste the love. 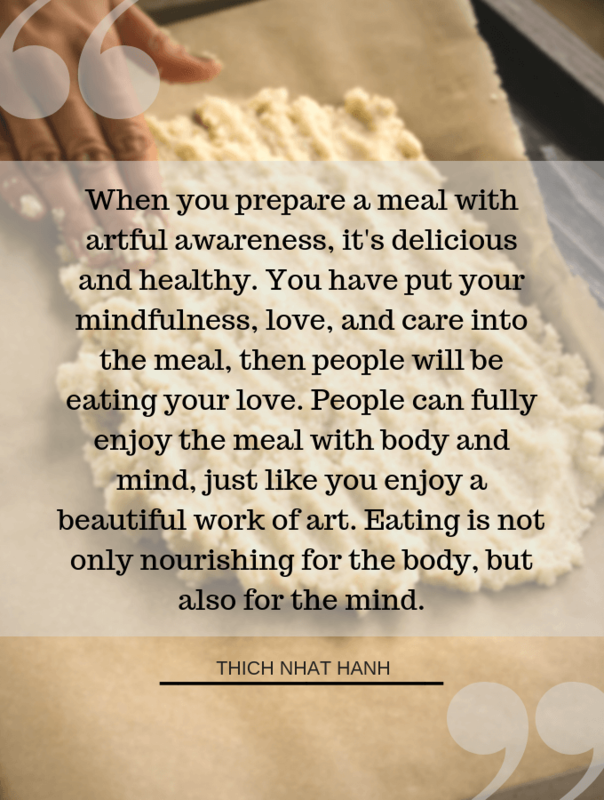 To me, mindful cooking is about being fully present with all our senses to the beautiful act of cooking. Ever wondered why mummy’s dal khichdi tastes so much better and comforting than Biryani from the most famous restaurant possible. Restaurants can ensure quality ingredients, hygiene, and skilfulness but what about the state of the mind of the chef who is turning 100s of orders each day. What if he had an argument as he was leaving from work and the same agitated state of mind is then served to us through the food. Since that day in Seva Cafe, I noticed my cooking was completely transformed. As I chop the onions or boil the potatoes, or steam the rice, or roll a bread, it is all an opportunity to be mindful and aware. I am filled with a sense of gratitude for the comforts I have in my kitchen — all the ingredients and all the appliances that I need. There are so many people behind every ingredient that we use to create food for our loved ones that every ingredient offers a way to connect with the wider universe. The soil, the seed, the Sun, the rain, the farmer, the worker, the driver, the baker, the packer, the seller… everybody came together for me to have this piece of bread in my home. What a blessing! Cooking is a way to offer love, care, and nourishment to family and friends. I feel a meal cooked with love is one of the most precious gifts I can offer to my family every day. I started this blog to share simple recipes cooked with a lot of love to encourage more home cooking. My day is filled with gratitude when someone shares how a recipe on the blog helped them in cooking.